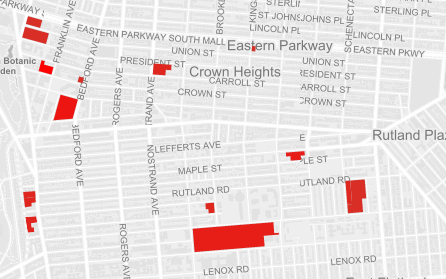 Broad support prevails throughout our neighborhood for a contextual rezoning by City Planning to prevent out-of-scale buildings like the 23-story luxury building at 626 Flatbush Avenue. 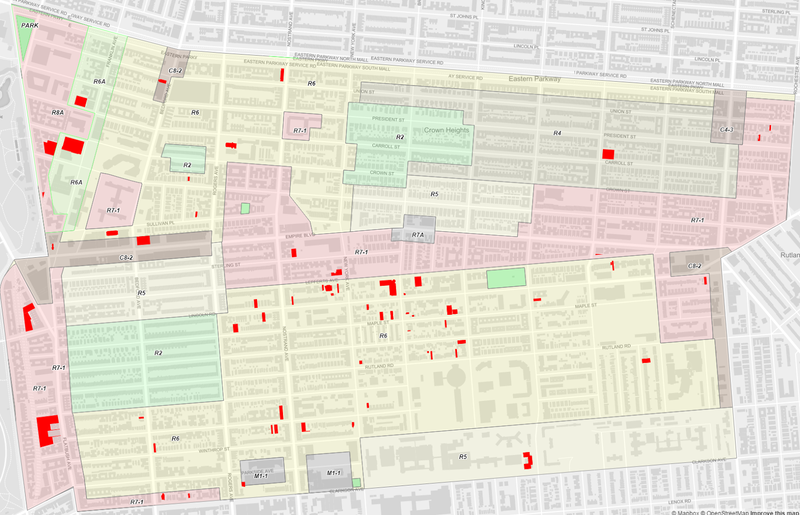 Lack of appropriate zoning in Prospect Lefferts Gardens has lured developers seeking big profits threatening our community, stressing our infrastructure, while failing to preserve affordable rent. Only community-defined contextual zoning can protect the neighborhood from changing overnight into a place we won’t recognize. 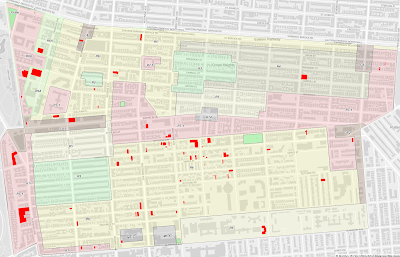 Unfortunately, however, controversies and delays surrounding recent efforts by our Community Board (CB9) to request a zoning study from City Planning have left many of us in PLG without confidence that CB9’s process will result in benefits for our neighborhood. Because the current agenda of City Planning seems to rely more on removing than imposing limits on developers, we feel we would be foolish to deal with the City unprotected by professional expertise. We therefore propose to take a positive step as a community. And we’re asking for your moral and financial support. We feel strongly we must retain a professional planner to develop a zoning plan tailored to our specific needs. Such a plan would serve as a basis for negotiation with City Planning. Given the lethal combination of developers’ aggression and our unique vulnerability, there is no time to lose. Paul Graziano is a deeply experienced planner with many successes in helping neighborhoods preserve character. (Explore Paul’s background http://www.paulgraziano.com/biography.html.) We want to retain Paul to develop a comprehensive, defensible zoning plan for PLG, taking into account both our desire for preservation of neighborhood character and diversity and the City’s agendas regarding housing and development. We think hiring Paul will not only help us arrive at a clear basis for negotiating with the City but also serve as a means for focusing community discussion on the rezoning issue. Our immediate goal, therefore, is to raise $6000 to enable Paul Graziano to begin the first of four phases of work on the rezoning study. Concerned Citizens for Community-Based Planning have already raised $3000, and we’re in the process of forming a non-profit organization and establishing a dedicated bank account for the project. We have high hopes that raising many modest contributions toward the goal will empower community action, and we’ll be scheduling an event to further discuss the effort and report progress. In the meantime, no contribution is too small (or too large!). (2) Checks should be made out to Concerned Citizens for Community-Based Planning and mailed to 190 Lincoln Road, Brooklyn, NY 11225. Thanks for any support that you can give this effort to develop a plan to protect our neighborhood. 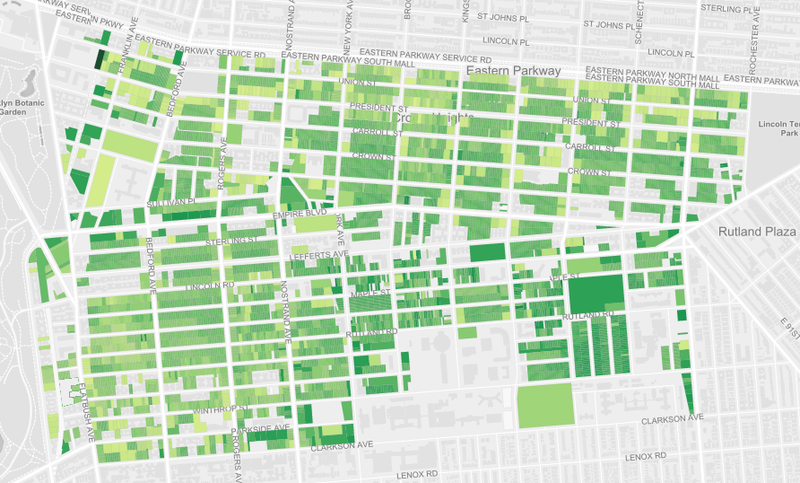 As you can see by the dark strips near Prospect Park, Prospect Lefferts Gardens is already one of the densest parts of Brooklyn. SAY NO TO CITY PLANNING! SAY YES TO COMMUNITY SPONSORED CONTEXTUAL REZONING! a tremendous increase in traffic, mass transit overcrowding, school overcrowding, parking, negative effects of construction-- noise, vibrations, garbage, etc. call or write CB9 board members and tell them to vote no to any resolution asking Department of City Planning to “begin a study”, regardless of what the resolution proposes. join us in calling for an independent professional planner to create a community sponsored plan and rezoning application that reflects what we want and need. 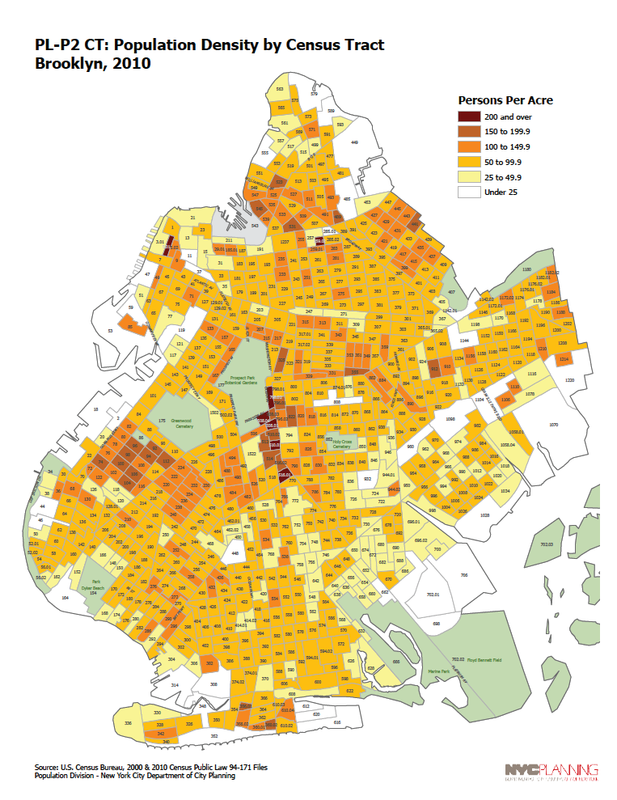 *Mayor de Blasio's housing plan calls for 80,000 new units of affordable housing to be built by upzoning just 15 neighborhoods out of 59 community districts. 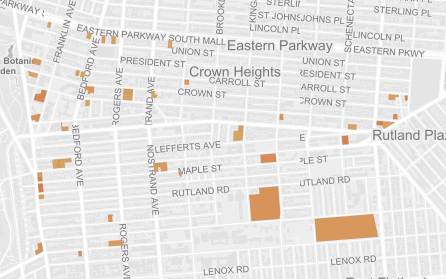 That means each rezoned neighborhood has to build about 5,500 units of “affordable” housing. 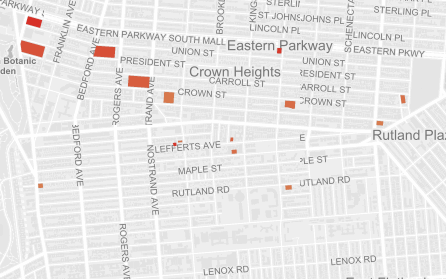 To reach 5,500 new affordable units our neighborhood will have to build 16,000 new units (if we can negotiate 1 affordable unit for every two market rate units) - that's 43,000 new people, at 2.7 people per unit, moving into PLG and south Crown Heights!